President Barack Obama walks across West Executive Avenue with Monique Dorsainvil, deputy director of advance and special events for OPE/IGA. August 3, 2012. 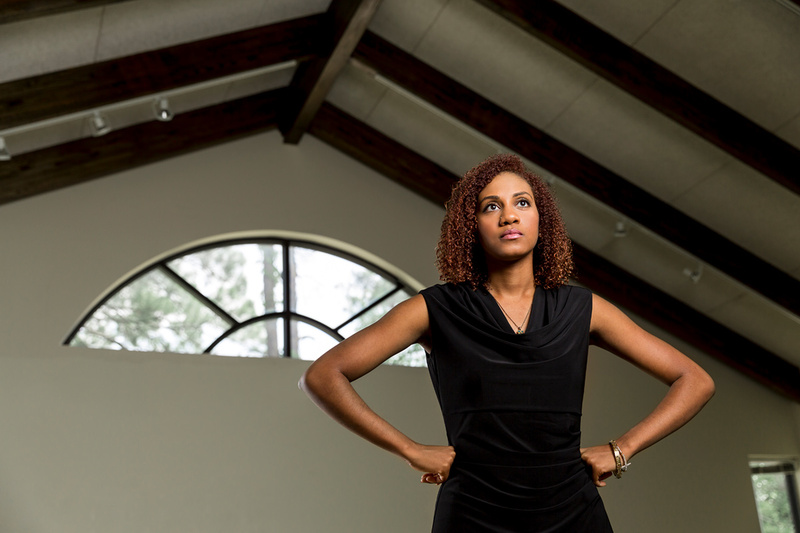 Within months of graduating from Emory as a Mellon Mays Undergraduate Fellow with a degree in women’s studies and global health—not to mention the Lucius Lamar McMullan Award, one of the university’s top student honors—Monique Dorsainvil 09C was working in the White House. 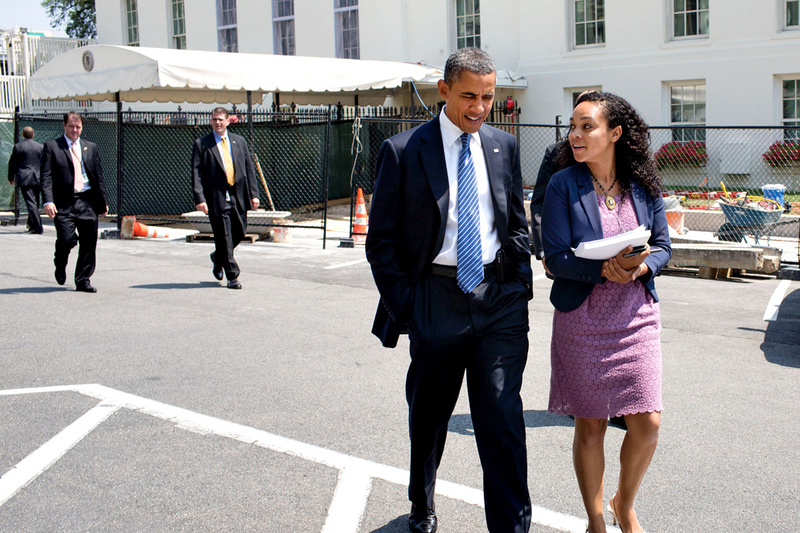 In September 2009, she was one of seven interns selected to work with First Lady Michelle Obama. Now serving as director of planning and events for the Office of Public Engagement (OPE) and the Office of Intergovernmental Affairs (IGA), she’s been learning her way around the White House ever since. This summer, Emory Magazine caught up with Dorsainvil for a Q&A. Tell me a little about your background and childhood. What people or experiences influenced you as a kid? I grew up in Woodland Hills, California,a suburb of Los Angeles, and was raised in a single-parent household alongside my two younger brothers one of whom currently attends Emory. I come from a lineage of spirited women. My grandmother emigrated from Haiti to New York in the 1950s and raised five women on her own. Raised during a time where there was pressure on immigrants to assimilate, my mother and her siblings never learned French or Creole, as they were instructed to solely speak English. When I was born, my mother decided that would change. She enrolled me in a bilingual French school when I was five years old and worked at the Lycée International of Los Angeles (LILA) to offset my tuition. She has worked there for more than twenty years now, teaching ESL and managing campus operations to ensure my brothers and I could benefit from a dynamic education. When you were young, did you aspire to a career in politics or public service? What did you want to be when you grew up? I knew from a young age that education was important to me and that whatever I did I wanted to do it well. Throughout my childhood, my mother placed a strong emphasis on hard work and education. As a first-generation Haitian American woman raising a daughter in a single-parent home, my mother taught me a thing or two about tenacity and drive. Growing up in a low-income home, she focused less on what we didn't have and more on how my siblings and I could obtain the skills that would be necessary to realize our dreams. My mother pushed us to work hard and equipped us with the tools and the mentors that helped transform our hard work into concrete opportunities. With no family background in government or politics, working in D.C. was not something that had previously entered my childhood imagination. In addition to working at LILA, my mother worked odd jobs and around the clock to put food on the table, pay the bills, and ensure that my two brothers and I received a strong education. Despite these constraints, my mother made sure that the four of us got up each Thanksgiving to volunteer at our local homeless shelter. Similarly, when I came home from school one day asking to go on the expensive annual ski trip with my class, my mother taught me what it was to launch a fund-raising campaign. It was because of her that I began to understand the power of organizing and to view myself as an individual in a collective community with the agency to change the circumstances that I lived in. How did you choose Emory for college? As a sixteen-year-old Davis Scholar attending the Armand Hammer United World College of the American West (UWC), a high school consisting of two hundred students from more than one hundred countries around the globe, my understanding of community was challenged and expanded as we were moved to transcend our own local realities and embrace an ethic of shared responsibility and diversity of thought. It was at the UWC in New Mexico that my focus became global and I could envision myself working in an international context. With Nelson Mandela and Queen Noor of Jordan as the honorary presidents of the school, we were pushed to think through the concept of global citizenship and creative ways to constructively engage in conflict. A mentor from the UWC recommended I apply to Emory. I chose to attend Emory because of the school’s focus on undergraduate research and building intentional community on campus and in the greater Atlanta region. In addition to being financially accessible, Emory had a strong selection of campus resources and student-led organizations that appealed to me. I decided to move to Atlanta—without ever having visited Emory—and it altered the course of my life. Tell me a bit about your Emory experience. Are there memorable professors or classes that inspired you? How did Emory help put you on the path to the career you have today? Monique Dorsainvil says her work "bridges the personal and political." At Emory, I was granted the opportunity and the resources to lead. As the founder of Feminists in Action and the undergraduate representative to the President’s Commission on the Status of Women, I created a two-way platform to tackle highly charged issues around sexual assault and campus safety. Ultimately, upon graduation, I was recognized with the 2009 Lucius Lamar McMullan Award for effective organizing and the positive leadership I demonstrated on campus. 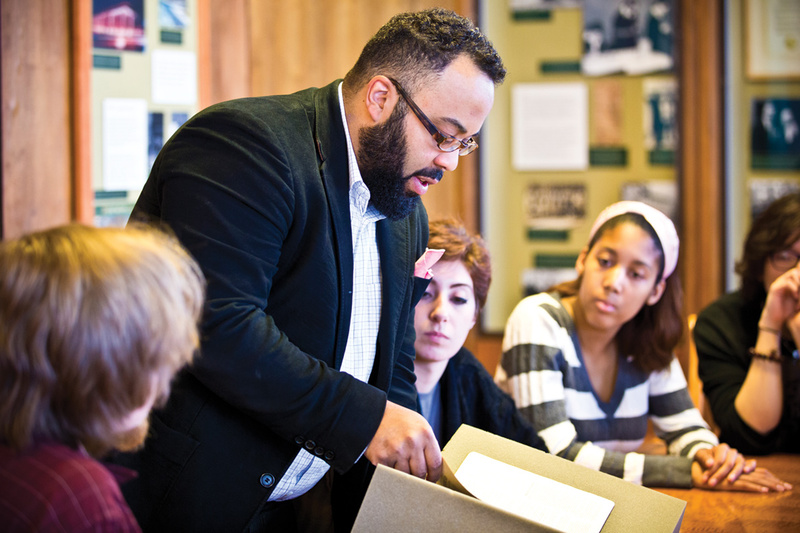 I was also deeply involved in the Transforming Community Project (TCP), an initiative created to unpack the complex history of race at Emory. Consisting of faculty, students, and staff, TCP was a constructive venue to have candid conversations about Emory’s past and ways to transform the community. I had the opportunity to travel, volunteer, and conduct research abroad. I spent time in southern India with the Journeys of Reconciliation project and then in Pune, India, volunteering at the Ashraya Initiative for Children (founded by Elizabeth Sholtys 07C)—where I conducted photography workshops with the children at the home. I also spent time in Haiti with my mentor, Dr. Regine Jackson, attending the Haitian Studies Association Conference, and interned in Tanzania with the Emory Development Institute. One of my favorite courses at Emory was Feminist Intersections: Advanced Feminist Theories taught by Professor Rosemarie Garland-Thomson. The course focused on feminist disability theory and challenged binary ways of thinking about gender, sexuality, and the body. The most challenging course I took at Emory was PSYC 110: Psychobiology and Cognition taught by [Charles Howard Candler Professor of Psychology] David Edwards. 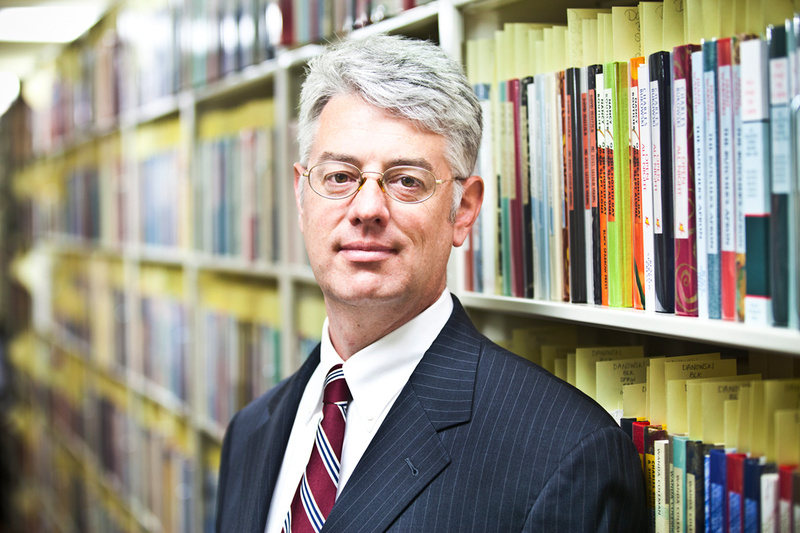 Known for his multiple, multiple-choice exams with no partial credit, Dr. Edwards implored students to think critically about the material he presented and ensured that we grasped the content on a cerebral level. I was surrounded by strong leaders. I was encouraged to chase opportunities, connect with faculty and staff, and submerge myself in the greater Atlanta community. The focus on leadership and intellectual curiosity at Emory positioned me to pursue opportunities that eventually led me to work in politics ;in D.C. In your previous roles at the White House, you worked with the First Lady as an advocate for women and girls, and later the LGBT community. What interests you about this work? Do you have personal experience that drives you? Why do you feel these groups benefit from targeted public policy support? When I moved to D.C. in fall of 2009, I didn’t have a job offer, any relatives or mentors in the city, or a place to live, but I did know one thing: I had been accepted to be a White House intern in First Lady Michelle Obama’s office. One of the initial things that drew me to intern in the First Lady’s Office was her commitment to mentoring and strengthening the next generation of young leaders. Not only did I hear the First Lady speak about her vision of paying it forward in speeches, I experienced it firsthand as an intern in her office. The First Lady and her team created once-in-a-lifetime learning opportunities and fostered an environment that stimulated our professional growth. As a White House staffer, my initial focus was on the Council on Women and Girls and outreach to the Lesbian, Gay, Bisexual, and Transgender (LGBT) community. Currently, I manage strategic planning and presidential events for the Office of Public Engagement and the Office of Intergovernmental Affairs. In this position, I work across constituency groups to facilitate direct engagement with the president and White House staff on priority administration issues. For me, working in public engagement bridges the personal and the political. As a lesbian-identified, Haitian American woman, I consider it important to actively represent my communities while highlighting key issues in other marginalized communities with the goal of improving lives and fostering substantial social change. It’s important to fight for passage of key policies like the Paycheck Fairness Act and the Employment Non-Discrimination Act (ENDA) because they remove barriers to collective success. We prosper as a nation when everyone has a fair shot to reach their full potential. What specific accomplishments in this work (above) make you most proud? What experiences in the White House have had a profound impact on you? Working alongside the former LGBT issue lead, I helped launch the inaugural Black LGBT Emerging Leaders policy briefing at the White House. 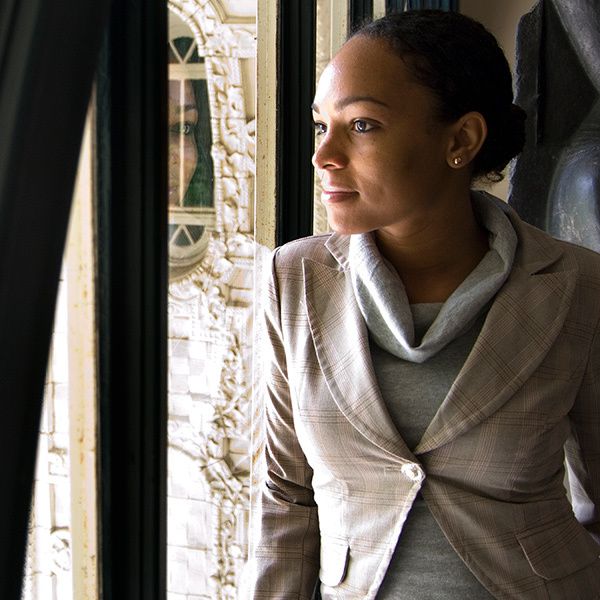 This initiative, now an institutionalized program in its fourth year, focuses on elevating the concerns of Black LGBT America by connecting young LGBT leaders from the black community to high-level administration advisers in key policy areas. Being part of the team at the White House preparing for the fiftieth anniversary of the March on Washington was a life-changing experience. The opportunity to help organize President Obama’s participation in the event was humbling and inspiring all in the same breath. I find myself the most fulfilled when I have the chance to work with young people who are visiting the White House with their teachers and mentors for the first time. Some students have lived in D.C. their whole lives and have never had the chance to visit the White House, and others are coming in from out of state. Tell me about your day-to-day life in your current role as director of planning and events for the Office of Public Engagement and the Office of Intergovernmental Affairs. What do you enjoy about it? What do you feel you contribute for the administration? As the director of planning and events, I oversee strategic planning and project management for OPE/IGA meetings, briefings, and large-scale events. In my role, I work with my White House counterparts to ensure that legislative, communications, and outreach strategies are implemented leading up to and following all OPE/IGA briefings and events. A lot of the work I do is behind the scenes, ensuring the president’s key policy agenda is reaching the American public, and vice versa, that the American public can constructively engage the president and his key advisers on meaningful policy issues that impact their daily lives. I feel the enormous weight of the decisions that are made at the White House on a day-to-day basis. My work is a team effort. Knowing that the work we do impacts people both holds my feet to the fire and drives me to do better every single day. I come from a lineage of working women. My grandmother was a domestic worker in New York in the 1950s and 1960s. My mother works diligently at the Lycée and has done so for more than two decades. My grandmother’s life experience and my mother’s resilience inspire me to do the work I am doing every day. Based on your White House experience, what do you feel are the most critical political and social issues the US faces in the next five to ten years? From my perspective, fixing our broken immigration system, raising the minimum wage, tackling climate change, paving the way for LGBTQ equality, and creating concrete ladders of opportunity into the middle class are the most salient social and political issues of our day. I’m a photographer. I enjoy independent and foreign films. I’m an avid reader, love biking, and am a major foodie. What’s one thing you wish you had known as an Emory student that you would like to share with current students? You shape the contours of your life and daily reality. Speak up when you have the opportunity to sit at the table. Don’t let those chances go to waste. Get to the table! Build strong relationships with the people you work with. I’ve found that the best way to develop a mentor relationship with someone you admire is through presenting a solid and consistent work product. From there, your relationship will grow.